One of the most beautiful cemeteries in the South, the Oakland Cemetery is one of Atlanta’s Jewels. No where in Atlanta is there such a tangible link to the city’s past. Legend says that where Peachtree Creek flows into the Chattahoochee a large peach tree once stood and marked the border between the Cherokee and the Muskogee (Creek) Indians. The edge of this creek formed one of the major Indian trails in the area. In 1814 and as a result of the War of 1812, a US army outpost named Fort Peachtree was erected near to this spot and became the first permanent settlement in the area. On 21 December 1836, the Western & Atlantic Railroad of the State of Georgia was created to provide a link between the port of Savannah and the Midwest through Chattanooga. In realizing this goal, the Western and Atlantic was tasked with linking up with the Georgia Railroad coming from Augusta as well as the Macon and Western Railroad that ran from Macon to Savannah. While the original target post was placed at modern Forsyth and Magnolia streets in 1837, by 1842, the targeted Zero Mile Post point had shifted to in front of the entrance to underground Atlanta. Work camps sprang up around the area as construction began on the various components of the rail lines. While referred to in early days by the various names of the camps, one of the larger camps was founded by John Thrasher. As a result, Thrasherville became the first semi-official name for the region. As the end of the rail track, the more popular term of Terminus was used to mark the end of the line. On 23 December 1843, the settlers around the Terminus asked for the the name to be change to "Lumpkin" in honor of the Governor Wilson Lumpkin. The Governor declined the honor but requested that the city be named after his daughter Martha, and so Marthasville, Georgia was born. 26 December 1845, Marthasville and the Whitehall precinct were combined to form Atlanta. In January 1848, the first set of Atlanta councilmen and the mayor took office. As Atlanta grew, there came a need to have an designated cemetery beyond the small church-based cemeteries that dotted the region. With over 2,500 residents the city purchased 6-aces well outside the city limits in 1850 as a burial ground. 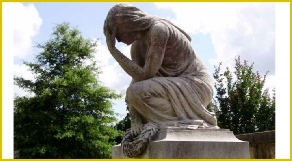 Simply called the Atlanta Graveyard or City Burial Place, Doctor James Nissen was the first burial in the cemetery. Nissen died while visiting Atlanta and according to legend he was so afraid of being buried alive that he had requested his jugular vein be cut to ensure death. During the war of Northern aggression the cemetery expanded to provide a resting places for the hundreds of Confederate soldiers that were killed. As the war entered into Tennessee, Atlanta, thanks to the railroads, became a major hospital town. With several large military hospitals within a half mile of the cemetery, the found the cemetery to be their last resting place. In 1862, the cemetery was also used at the execution location for the Union operatives known as Andrews Raiders that had stolen a Confederate Train from Marietta and raced north to cut telegraph lines. Once they were captured, the seven spies were hung in the southeast corner of the cemetery. Their bodies were buried there until they were re-interred in the Chattanooga National Cemetery. At the assault on Atlanta began in 1864, the cemetery was expanded repeatedly to accommodate the Confederate dead. At a high point on the cemetery's edge, a two-story farm house served as the headquarters for General John B. Hood as he commanded the defense of Atlanta on 22 July 1864. 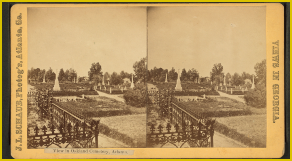 After the fall of Atlanta, many of the Confederate dead that had fallen in the field were moved to the Cemetery and re-interred. As a result, the cemetery was expanded to it current boundaries and encompassed 48 acres. Once the final soldier was laid to rest, there were 6,900 left in the cemetery and over 3,000 remained unknown. In the tragic period of Reconstruction, the cemetery became a popular destination of carriage rides and picnics. Family came to attend the plots of their departed and to wander the gardens that had been built around the cemetery. In fact, Atlanta's first greenhouse was built on the cemetery grounds in 1870. In 1872, the name was changed to the Oakland Cemetery. On 26 April 1874, the Confederate Obelisk was erected to mark the surrender of Joseph E. Johnston to the hated General William Sherman which ended the War of Northern Aggression. The 65 foot tall obelisk is made from granite quarried from Stone Mountain and for decades it was the highest structure in Atlanta. Four Confederate Generals, John B. Gordon, Lucius J. Gartrell, Clement A. Evans, and William Wright, rest in the shadow of the Obelisk. In 1894, the Lion of the Confederacy, or Lion of Atlanta, was carved by T.M. Brady as a coffin and monument to the Unknown Confederate Dead. Carved from the largest piece of marble taken from north Georgia until that time, the monument (which is a modified copy of the Swiss Lion of Lucerne) was commissioned by the Atlanta Ladies Memorial Association. In 1884, the last public site was sold within the cemetery grounds. After that point, the plots were only available from previous family purchases or from a limited number reserved by the city. Much of the original iron work that once surrounded the cemetery was removed during World War I as the city donated it to assist the US government in the war effort. Because Oakland was never setup as a perpetual care cemetery, the maintenance fell upon the families of those buried there. Over the decades many of the family faded, the cemetery fell into disrepair over the next 90 years. Monuments fell pray to vandals. The grounds went unattended. On 28 April 1976, the Historic Oakland foundation was created and placed the cemetery on the National Register of Historic Places. In the years that have followed there has been a concerted effort to reverse the decay. On March 14, 2008, downtown Atlanta was struck by the first major tornado ever recorded in the area (at least since records began in 1880). The path of the tornado carried it through Oakland Cemetery and caused significant damage. 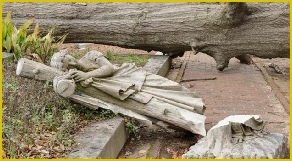 A great number of trees, as well as headstones and obelisks were damaged or destroyed. Even though a concerted effort has been made to repair the damage, there still remains evidence of the destruction. 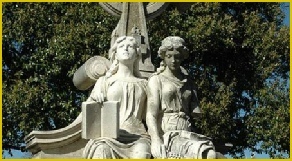 The Neal Monument at Oakland Cemetery. 2008 tornado damage at Oakland.